Czech Traditions: Easter – In the Czech Republic, a tradition of spanking or whipping is carried out on Easter Monday. In the morning, men spank women with a special handmade switch called a pomlazka (in Czech). The pomlazka consists of eight, twelve or even twenty-four willow rods, is usually decorated with colored ribbons at the end. A legend says that women should be spanked with a whip in order to keep their health, beauty and fertility during the whole next year. 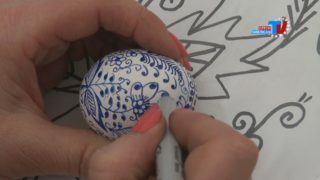 Czech Traditions: The Czech Easter Eggs or so called ‘kraslice’ in Czech are beautifully painted and decorated with various techniques on blown egg shells. It comes from the old-Slavonic term ‘krasny’ or red, the symbol of life and fertility. Years ago, kraslice had to be red, like the colour of blood. The eggs had to be whole because an egg having the embryo of a chick represents future life. Czech Class: Easter – Watch free video lesson and learn The Czech Language. Visit Czech-American TV website at www.catvusa.com and click on the button – Lessons. 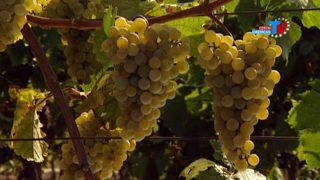 Exploring Czech Lands: Czech wines – Moravian and Bohemian wines are refreshing and exceptionally varied. Wines from the Czech Republic have become highly popular for their freshness, attractive harmonic aroma and high quality. Czech Songs: This time with Mistrinanka – South Moravia possesses typical and unique wine-growing regions, rich folk costumes and traditions. Enjoy the atmosphere of folk festivities, including folk costumes and brass band. All these treasures of folk culture may be seen also in the folk festivals with which the region has become internationally renowned.